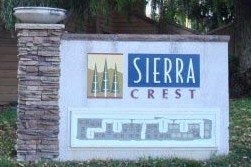 There were five 2 bedroom Sierra Crest condos sold in May, 2011. May, 2011 average sales price for the 2 bedroom Sierra Crest condos in San Jose was $239,000, which changed little compared to average sales price of $238,512 from the previous month. Median sales price in May, 2011 was $237,500 for the 2 bedroom Sierra Crest condos in San Jose, compared to median price of $235,525 in April, 2011. May, 2011 average cost was $259 per square feet of living space for these 2 bedroom condos. This is consistent with the average cost of $259 in the previous month. Now is a great time to buy one of these 2 bedroom condos in San Jose, with current prices being 9-10% lower than last year and 35-36% lower than 2007 prices! With interest rates still low, buying these 2 bedroom condos could be a good long-term investment. 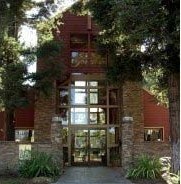 The Sierra Crest Condo complex was originally constructed in the year 1988. It consists of 19 buildings with a total of 332 units. This complex is in a central location, close to freeways (280 and 17/880), shopping and restaurants (Santana Row and Westfield Valley Fair Mall) and hospitals (Santa Clara Valley Medical Center and O’Connor Hospital).